Having just sunk a third of her monthly salary into a new mobile phone, guest blogger Jehan Mohd ponders its prominence in today's world. People have a strange attachment to their mobile phones - it's a relationship of epic proportions. Look around and you will notice more than a handful of people with their eyes stuck on a small screen as their fingers are busy tapping away on the flat surface or a mini keyboard. It is not unusual to see individuals interacting with their phones more than with the people they are actually out with, or for audience members to be more engrossed in whatever is on the small screen than on the big one in the cinema or in the live action happening on stage in a concert or play. But I digress. The whole point of the preceding paragraph was to show how close people can be to their handheld devices. I have to admit that I am too (but not to the point where I forget to enjoy real life as it happens in front of me). I've owned mobile phones since I was a Year 11 student in an Australian boarding school back in 1996 (when such a device was still a rarity, especially among young people). Aside from very brief periods when I had an Ericsson phone (before it became Sony Ericsson and recently became completely extinct when Sony bought out its shares to become Sony Mobile), an old Motorola model (which may have actually been my mom's phone) and a cute pink Samsung specimen, my mobile devices have all come from the Nokia family. The longest relationship I had with a phone was with my trusty Nokia 3210, which survived being dropped, scratched and scraped several times over the four-odd years I had it. Since then I change phones on average once in a year or two (one lasted a mere two days: it was irreparably damaged after I accidentally dropped it - luckily it was a cheap secondhand one). There has never been one that gave me the same satisfaction as the 3210 ... but I haven't stopped looking and hoping. And it is sometimes still difficult to let go of tried and tested phones that are in still decent shape. Things have changed a lot in the mobile world. Where before the mobile phone was merely a tool to make and receive calls and to send texts through Short Message Service (or, simply, SMS), now it is practically a mini computer that helps us keep track of schedules; do work, play and communicate online; and takes photos and videos, among others. My most recent acquisition is something I had serious doubts about - from what I read the battery life was a huge letdown, the applications I could get for free were nothing compared to more the established smartphones, iPhone and Blackberry. But being a loyal Nokia user, I could not see myself getting anything else (times when I did did not end so well for the phone or for me). 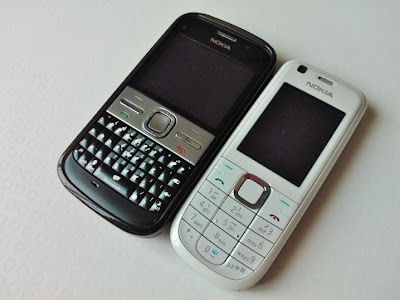 That is how I ended up getting the Lumia 800 - the first Nokia phone using the Windows operating system - about a week ago. Being a smartphone that is controlled by touching the screen and having an interface that is akin to a Windows computer, it is easy to think of it not as a phone but as a small computer that fits in your hand - with the battery life of a netbook computer (i.e. awfully short). It has been a love-hate relationship from day one. - a pitiful battery, which meant that I had to charge the phone every few hours during the first couple of days I owned it. It has not been as bad the past two days, though, so I reckon it could be a matter of adjusting to its quirks (I still bring the USB charger cable with me in case I need to charge it at work). Despite the sucky (no pun intended) battery life - which makes me hate the phone - I don't regret the decision I made to buy the phone because I love it too. Only time will tell if this will last longer than the others I have had since the trusty 3210 (seeing how my last few phones have been, I somehow doubt it).